Unlike supply-laden office and multifamily sectors, the retail pipeline remains disciplined, adding to future stability while at the same time constraining growth. New developments continue to absorb big box and junior box retailers—in 1Q2017, these deals represented 363,000 sf. This movement coupled with strong urban demand has led to climbing occupancy which increased by 40 basis points in 1Q 2017. 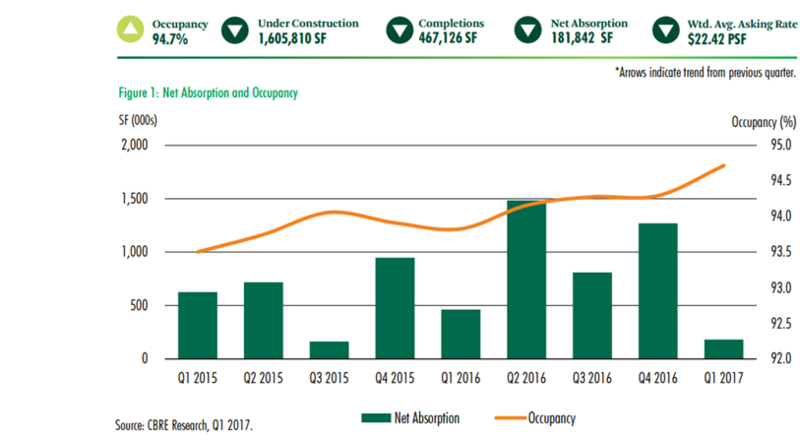 Also take a look at CBRE's Houston Office MarketView 1Q 2017​ report.